This first section of videos focuses on environmental toxins which we are exposed to every day. Everyone has stored toxins in every cell of their body and brain because we have all inhabited areas of the world which are contaminated with environmental chemicals. This is especially true of the homes we have inhabited which have their own specific fingerprint left behind by the habits of previous residents along with the history of that structure. Unless we become more aware of our present exposure they place a constant biological and chemical burden upon our cells and our pathways of detoxification. Symptoms are the expression of cellular dysfunction in part due to toxins which have entered deep into the cell’s most vital component, the mitochondria. The removal of these toxins from cells must become the foundation of recovering your health. Education, to become knowledgeable about the insidious insults in your environment. Avoidance, to know where these toxins are found and what you can do to remove them. Repair and rejuvenation of mitochondria through nutrition. Increased use of plastics and their endocrine disrupting qualities are the underlying cause of many illnesses. We continue to hope that science will find the cure (for breast cancer and many other cancers) but until we understand that one of the major causes is environmental we will never make any progress. Next we have the negative impact of fluoride upon our health. Paul Connett presents a very compelling presentation that will hopefully convince you to completely avoid the ingestion (including toothpaste) of this chemical. Next we’ll investigate common household insults. This video covers common household chemicals. Mold is everywhere but can increase to toxic levels when trapped or recirculating in our home. We agree with the message of this video…but the real issue with our present medical system is that it does not have the means of correcting what we have accumulated in our total body burden of toxins. Only through purification and detoxification can we ever hope to recover our health when our condition is due to toxicity. This first video is a 101 intro to EMFs. This is an industry which is totally unregulated. Everything you put on your skin and lips is absorbed into the body. 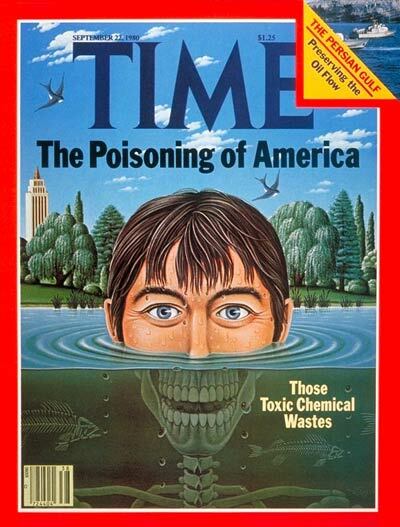 Our government is not protecting us from thousands of chemicals which have never been tested for human toxicity. We are exposed to infinitesimal doses which do accumulate in the body with subtle harmful biological effects. Stephanie Seneff, PhD, is known for her research on toxicology and the effects of environmental chemicals upon human health. One of the best global studies on the effects of ‘modern’ foods upon our health comes from Dr. Weston Price. HFCS is everywhere now and plays a major role in the epidemic of many chronic illnesses. Fructose becomes what in the body? Not triglycerides! But those are fats! But it tastes so good and it was always served as a treat during celebrations…. As toxic residues are released from cells and tissues we won’t feel very good but an important experience to go through if you know what to expect.